Swing DJ Resources has been launched! In August 2011, I started “DJ Chrisbe's Swing DJ Resources Email List” to share my knowledge and my ideas about Swing DJ'ing. Although my goal was to send out one or two emails per month, it never went that far. I realized pretty soon – I asked each of my subscribers what they are interested in – that this is not the right medium to do it, there must be a hub instead. Some just prefer music tips. 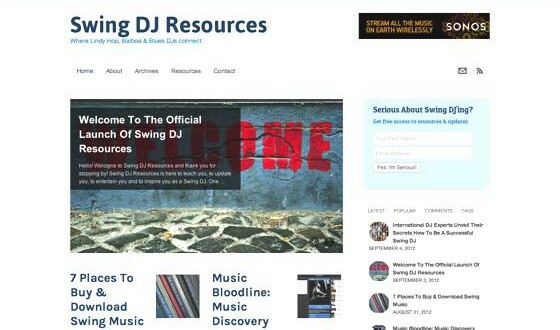 The idea of the Swing DJ Resources website was born. Have a look! Browse through the first articles and let me know what you think. If you like an article, please share your thoughts in the comment section and share it! This is just the beginning. Stay tuned for more Swing DJ Resources updates! Thanks once again for being a part of my community!